Some already play the role of housewife, drive buses and taxis with morbid accuracy, make analyses and reports from a lot of cross-reference data, serve us at hotels and even in supermarkets in our own language, and robot Olympics are planned for the Tokyo 2020 Olympic Games. They are machines invented by us, human beings, capable of performing inconceivable tasks by learning not only by imitation. We are talking about “deep and machine learning”, artificial intelligence fields, which are being developed at an incredible pace. They are much more than simple mathematical algorithms that replicate or imitate certain human patterns. The latest example is the AlphaGO computer program, which left South Korean Lee Sedo in the lurch, until then the indisputable champion of the traditional Chinese game GO, with a move termed by experts as “computational creativity”. Robots have a status yet to be determined, although South Korea is the first country that tried its luck with a code of ethics. 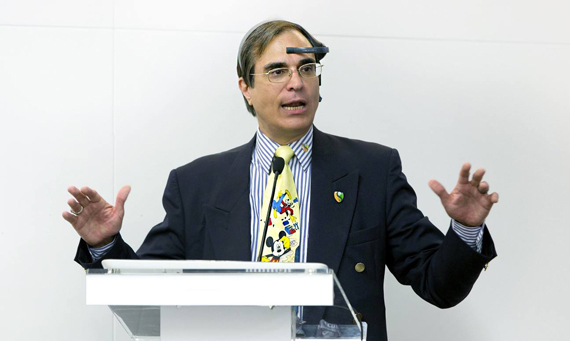 To view the different aspects of the same concept, and paraphrasing José Luis Cordeiro, Professor and Advisor in Energy at the Singularity University, (NASA, Silicon Valley), Director of the Millennium Project and Founder and Chairman Emeritus of the World Future Society (Venezuela), “in the West we are afraid of robots because they mean ‘slave labor’. However, in Asia, and particularly in Japan, Korea and China, they see a great ally in these machines. When a human being is in trouble, robots help the human being”. The other issue addressed in this second post is aging, until recently understood as a “natural biological process”, which leads human beings to unquestioned death. However, the scientific community and an increasing number of projects around the world are trying to prove that death is a disease that can be cured. María Blasco, molecular biologist and director of the National Cancer Research Center (CNIO), has “metaphorically given birth” to a genetically modified mouse capable of living 40% longer than what had been achieved until now. To translate this research into human beings, this laboratory mouse would correspond to a young human being 140 years old. And if we go a bit deeper into aging, even bordering on science fiction, some are talking about reaching immortality, although not entirely in human form. At the age of 67, Google’s head of engineering, Ray Kurzweil, who among other things has predicted many major technological milestones such as the defeat of a world-class chess player Kasparov by the computer Deep Blue (1996), says that he dreams of living eternally until his entire brain can be moved to a computer and thus reach immortality. The quest for a cure for aging, or the magic of being immortal? Humor, the swiftness in connecting internal thoughts and verbalized words,while keeping in step with the space around him, is the first thing to capture one’s attention when we have the chance to watch José Luis Cordeiro live. Like his Mickey Mouse tie, that has accompanied this engineer, scientist and futurologist around the world. In each of his presentations and interviews, Cordeiro turns upside down all our beliefs about the future. No one is left indifferent with transhumanist phrases such as, “I’m not going to die”, or “garbage doesn’t exist, it’s simply raw material in the wrong place”. Cordeiro no doubt has favorite science fiction authors such as Arthur C. Clarke, whose third law related to the future he likes particularly: “any sufficiently advanced technology is not much different from magic, if one can see the difference it’s because it’s not advanced”. Because according to this futurologist “burying one’s head in the sand and not wanting to see what’s happening”, is not the most intelligent way to look into the future. He claims that we will witness “the death of death”, and “this will only be one option”. We cannot be sure whether we will reach that immortality in mortal form as seen by José Luis Cordeiro, or which is attributed a significant weight in the development of the well-known singularity theory by Ray Kurzweil. However, the scientific community has at least managed to get rid of the “mental taboo” that aging cannot be cured. The molecular biologist María Blasco also seems to be quite sure about this when she states “the disease doesn’t begin when it’s diagnosed by a doctor. It’s a process that happens in the organism and that we scientists want to be able to do is prevent and detect”. Therefore, according to Blasco, “aging is not programmed by evolution. There are no “Terminator” genes that determine when a person should start aging, but genes to keep us young, and that’s why we want to understand it, to delay it and because it’s the origin of diseases”. Somehow, we want to achieve bodies like the hydra, which is considered biologically immortal by the scientific community, since it doesn’t die of old age, and which could live forever in the right conditions. Also interesting is the view held by the director of the CNIO’s Molecular Cancer Program, Manuel Serrano, who claims that “aging is not inevitable, it’s not programmed into the life of organisms”, and adds “why are we going to accept it if we don’t accept a virus or an infection?” At a Philosophy symposium where he spoke about longevity, this biologist expressed it very clearly: “We can’t talk about aging as something natural, because natural is not synonymous with goddess. There are no old animals in nature, when something goes wrong, there’s no space for them”. Manuel Serrano focuses on the theory that human beings will live longer, and the older they get, the greater the probability of contracting mortal diseases like cancer, or degenerative illnesses like Alzheimer’s. According to Serrano, the more common causes why people died at the age of 30 despite their organisms being healthy were famine, cold or violence, and not cancer, because they didn’t live long enough to develop it”. The race is on and one of those who has addressed this matter is the scientist Craig Venter, famous for sequencing the human genome, and who now, with his company Human Longevity, wants to develop strategies and therapies to treat diseases derived from aging. The concept of singularity has gained momentum in recent years thanks to Google’s head of engineering, Raymond Kurzweil, and his book “The Singularity is Near”. This concept from the 1950s holds the view that scientific and human development is not linear, but exponential. The mathematician and science fiction author Vernor Vinge popularized the term when he introduced it into the field of Artificial Intelligence (AI). Vinge focused on the singularity in the development of artificial intelligence, brain-machine interfaces and the advent of superintelligence. This concept of superintelligence can be understood in practical terms through the Human Brain project in which the EU participates, which works on what is known as reverse engineering of the human brain. The basic idea is to research and document the human brain’s operation and transfer it to a computer model. But if we had to attach the concept of singularity to a distinguished character, it would no doubt be Raymond Kurzweil, who has already been termed as “restless genius” by the Wall Street Journal, and “the ultimate thinking machine” or “the legitimate heir of Thomas Edison” by Forbes magazine. One of his most accurate visions came soon after he wrote around 1990 his book “The Age of Intelligent Machines”, where he predicted that a machine would defeat the world chess champion. But Kurzweil will really go down in history for his great prediction that has to do with 2045, the year when singularity would come about, or in other words: “Human beings will change completely and forever, ridding themselves of their biological chains”. 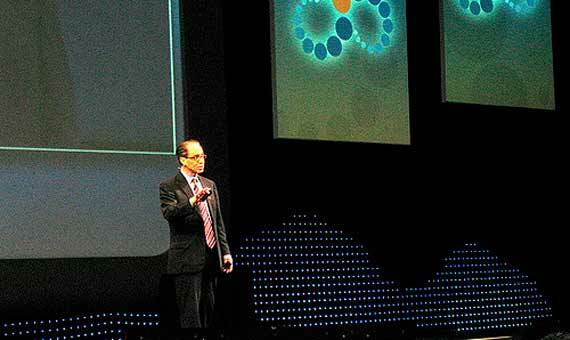 According to Kurzweil, computers will exceed the intellectual capacity of all human brains combined. But before then, there is another great prediction by this futurologist. By 2029, machines would apparently have read all existing knowledge and computers would already start to pass the Turing test. According to this test, a human being and a human being created from artificial intelligence are completely indiscernible from each other. Right now we don’t have to spend a sleepless night thinking about what will happen if Kurzweil prophecies are fulfilled. However, not everyone subscribes to this techno-optimism of Kurzweil and there are already some Artificial Intelligence (AI) experts, scientists and engineers who wrote this open letter on the website of the Future of Life Institute, which listed the benefits that AI could provide, but also stated the importance of weighing the setbacks. For this reason, many of us can ask ourselves what became of that computer developed by IBM, which managed to defeat the world chess champion. Watson is now studying thousands of medical works, reports, clinical trials and tests on patients from around the world with the sole objective of becoming the largest doctor in the world, and help the rest of physicians in their online diagnoses at a speed never seen before. Will these be the kind of uses given to artificial intelligence? It remains to be determined whether machines will improve on human beings, whether we will manage to extend our humanity to other older recipients, or whether one day we will just be another species that populated the Earth in an X period of time. Let’s hope not.